Southend folk-punk collective Deferred Sucess [sic] have found a way to beat the economic gloom by inviting fans to contribute to the recording of their album. The band, fronted by singer-songwriter Paul ‘Doozer’ Short have set up a web page at http://helpfundouralbum.bigcartel.com where fans and benefactors can choose from various options to donate money to the process, from as little as £10 to £200. 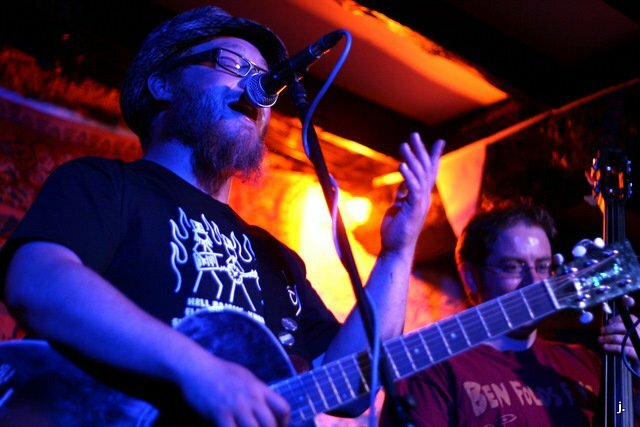 On the strength of last year’s 5-track House Parties EP they’ve appeared at numerous festivals, including Bearded Theory, Beautiful Days and Endorse it in Dorset, as well as touring across the UK and mainland Europe, and supporting the likes of The Levellers, Carter USM and Zounds.